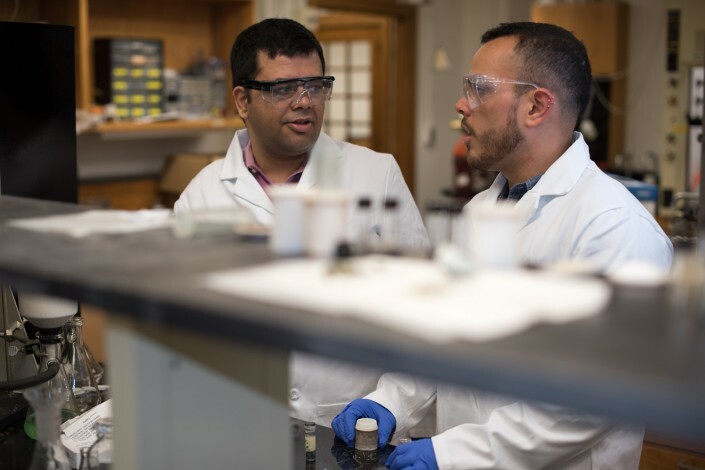 Sarbajit Banerjee, professor of chemistry at Texas A&M University, has been awarded the Institute of Materials, Minerals and Mining (IOM3)’s Rosenhain Medal and Prize in recognition of his research in new materials design. The prestigious annual award, presented to Banerjee in London on Nov. 11, is bestowed in recognition of distinguished achievement in any branch of materials science, with preference given to researchers under the age of 40. Instituted in 1951 to honor the memory of German-born Australian metallurgist Walter Rosenhain, it is the highest young researcher award presented by IOM3, the premier global network for professionals in materials science.